Intolerable Acts, also known as Coercive Acts are the titles referring to the laws that the British Parliament passed in 1774. These laws had something to do with the British colonies in North America. Because of these acts, the Thirteen Colonies were enraged. The Thirteen Colonies would later become the United States. But at that time they were very much a part of the ongoing uprising of what was the American Revolution. Boston Tea Party was the main recipient of four of the acts in 1773. The British Parliament made Massachusetts an example to turn around the trend of colonial resistance to the parliament that had had begun with the 1765 Stamp Act. The Quebec Act widened the boundaries of what was the province of Quebec and made changes that were in favor to the region’s inhabitants that were French Catholic. In retaliation, many colonists who thought that the acts were arbitrary violation of their rights organized the First Continental Congress in 1774 to organize a protest. 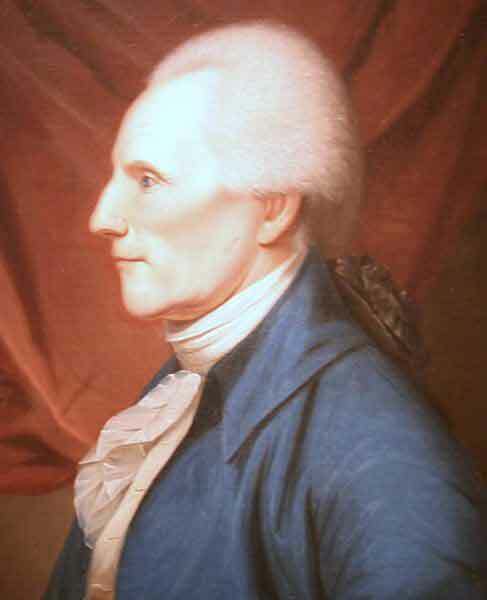 As the tension-filled meetings ensued, the American Revolutionary War was set and broke out the following year. This led to the creation of the United States of America. The Seven Years’ War put a dent on the relationship between the Kingdom of Great Britain and Thirteen Colonies in 1763. The war put British government in great debt, and in the effect to increase revenues, the British Parliament increased the revenues of its taxes from the colonies. The Parliament believed that it was backed up by the Stamp Act of 1765 and the Townshend Act of 1767. This was in terms of legitimacy of letting the colonists pay more taxes to the British Empire. In effect, the Stamp Act and the Townshend Act were repealed while the Parliament according to Declaratory Act of 1766 stood its ground in upholding their rights to legislate the colonies in all cases. There have been misconceptions about the British Empire. For example: according to the British Constitution, one cannot take away the property or taxes of a British subject without representation in the Parliament. In this case, since the colonies were not represented in the Parliament, the colonies fought against the Parliaments’ devious acts, with some even saying the Parliament has no right to take away and use the taxes. This they clearly expressed in the slogan: No taxation without representation.” Colonial essays went further after the Townshend Act by questioning the legitimacy of the Parliament’s jurisdiction in the colonies. The American Revolution was all about the true nature of the Parliament’s Sovereignty. Some colonists on December of 1773 instigated an act called the Boston Tea Party for having been taxed by the Parliament without their consent. 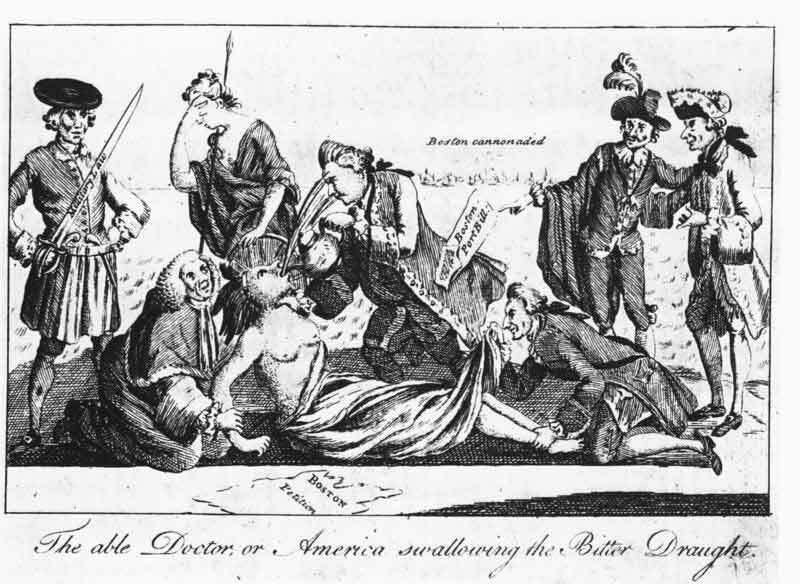 After England learned about this ongoing act in January 1774, the British government’s punished the Boston with a series of acts for allegedly destroying privates. The acts were also meant to put back British Authority in Massachusetts and eventually reform the colonies in America. 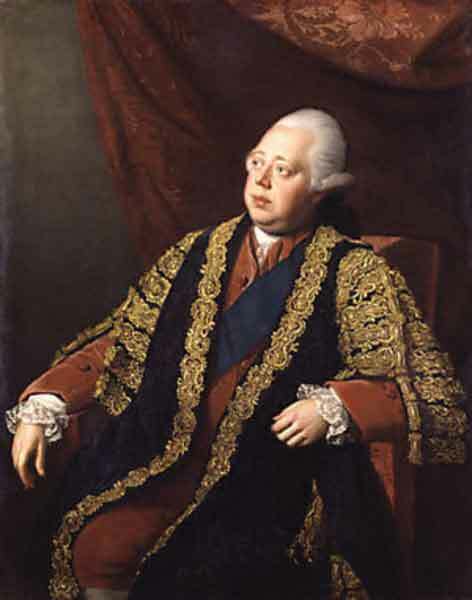 It was in April 1774 that Prime Minister Lord North presented his defense of these acts to the House Commons. He pointed out how the Americans have disobeyed the laws of authority. In face of risk, the Prime Minister, admonished the audience that something should be done otherwise all is lost. 1. This resulted to the Boston Port Act in response to the Boston Tea Party. This act instigated the closure of the Boston port until the repayment of the East India Company of destroyed tea and until order was restored to the king’s satisfaction. This irked the Colonists to no end due to the fact that all of Boston was punished for individual acts and the punishment came without any due process in the courts at all. 2. The Massachusetts Government Act earned more ire than the Port Act because it change the Massachusetts’ government unilaterally so that the British government with have full-control. The terms of the Massachusetts Government Act will have the governor or king appoint all the positions in the government. This act also lessened the occurrence of town meeting in Massachusetts to once a year unless it was the Governor who was calling for one. Colonists in neighboring area were afraid that this feud would also trigger their some changes in their governments. 3. The Administration of Justice Act enabled the transfer of accused royal officials to another colony. It was even possible that the so-called transfer will be in Great Britain saying that a just trial will be elusive to him in Massachusetts. Although it is said in the act that travel expenses will be shouldered by the government, it was believed to be unnecessary because it was just an opportunity for the British to harass Americans and run from the law. George Washington even said that it was the “Murder Act” because it opened doors for harassment for the British. On their end, other colonies also believed that justice was served fairly to the British soldiers and set the Boston Massacre in 1770 was as an example. 4. The Quartering Act was the kind of act that covered all colonies and aimed to make a better housing program for the British troops in America. While in the previous acts the colonies were the ones that provided housing for the soldiers even if the legislatures were not really cooperative this, the Quartering Act house soldiers. History would later refute this as a myth saying that the soldiers were allowed to stay in unoccupied buildings. 5. The Quebec Act was a legislation that was strongly related to the Coercive Acts because it did not have anything to do with Boston. Colonies were alarmed with the passage of this acting thinking that it was for their punishment. The act widened the boundary lines of the Province of Quebec and established reforms that would benefit the French Catholic region’s inhabitants. However, the Quebec Act denied the people elected legislative assembly. The oath of allegiance was also free of references to both the Protestant and Catholic faith. This naturally caused offense in the British colonies. Objections by the Land speculators and settlers were mostly about transfer of lands. A lot of people were afraid of the status of Catholicism in Quebec; there was also a movement to hire the French Canadians to punish British Americans. You might want to change your dates from the 1970’s to the 1770’s…….I’m just saying….. this is history……you should not have incorrect information. I don’t know this for sure, but there is the possibility that the author made the mistake of putting 1900’s, but fixed the problem AFTER Ashley’s comment. Which could explain why you cannot currently find the error(s). Just something to consider. I did not find this website very helpful as far as what the Intolerable Act stated and what it told the colonists what they had did. thankyou I would just prefer it had these prefrences. yes the date would be 1770 to be exact. this website gave rocking info i loved it got an A+ nowi can pass to the next grade thanks Alot!!!!!!!!!!!!!! LOVE IT LOVE IT LOVE IT LOVE IT!